Samsung is rolling out a new update for the LTE variants of the Galaxy Watch. It is not a big update, but brings improvements to a couple of key features of the watch, battery life and Heart Rate Monitor (HRM). The new software version is R815FXXU1DSBA for the 42 mm Galaxy Watch, and R805FXXU1DSBA for the 46 mm variant. The platform version is still Tizen OS 4.0.0.1. This particular update for the GPS variants of the Galaxy Watch was released in January itself. Samsung has been consistently releasing software updates for its wearable devices, and most of them have been focused on to improve the battery life. The latest update for the Galaxy Watch LTE also does the same. In addition, the update also brings about improvements in the HRM. The feature should be more reliable now. The changelog doesn’t mention anything much. Just the generic improvement in device stability and minor bug fixes. The update weighs 52.14 MB over the air. Samsung has been greatly focused on improving the functionality of its wearable devices. Earlier this year, the South Korean electronics giant updated all of its older smartwatches to Tizen OS 4.0. The Gear S3 and the Gear Sport now run Tizen 4.0.0.2, whereas the Galaxy Watch runs Tizen 4.0.0.1. 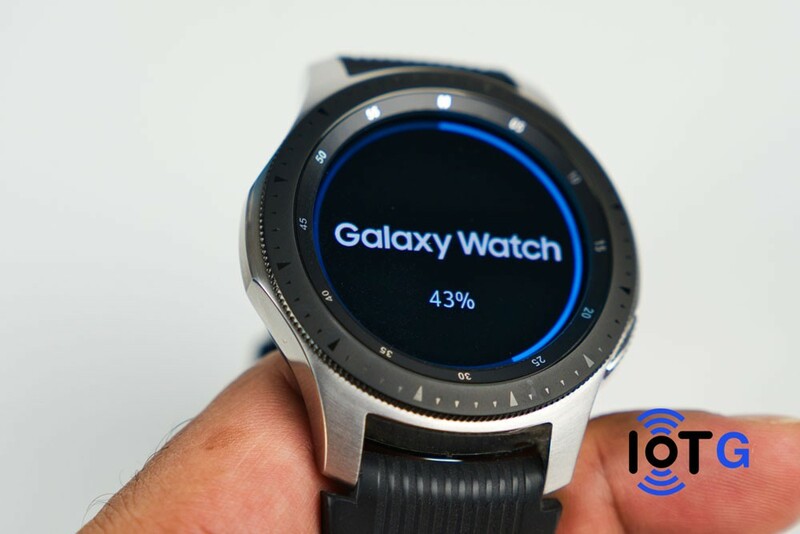 To update your Galaxy Watch to the latest software build, launch the Galaxy Wearable app on your connected smartphone and go to the settings, followed by About Watch. Now tap on Update Watch Software and then Update now. Note that it is a server side update, and may take some before it reaches your unit. You should get a notification when the update is available for you. Have you received the update for your Galaxy Watch yet? If you have, do let us know your model and the region you reside in by dropping a comment below.